It may be surprising to hear this from a REALTOR®, but sometimes it may be better to wait awhile prior to purchasing a home. Rates are crazily low right now, and provided you have finances available to purchase a home, this could be a great opportunity. The main thing that needs to be considered is how soon you wouldneed to sell the house. The reason being that if there isn’t enough time for the property to appreciate enough to cover the costs of selling, namely closing costs and commission, this could seriously cost you. 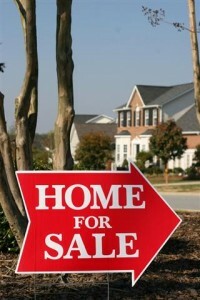 The seller pays the commission, which is generally about 6% of the sales price. In addition, closing costs can add another two or three percent. It is easy to see how this amount could outrun appreciation in the short-term. Depending on the amount of the initial down payment, you could actually have to bring money to the closing. The following are some reasons it may be better to wait. Unfamiliar with Area If you have just transferred to a new city, state, or country, it might be a good idea to get to know the area a bit better prior to settling down. There is only so much you can learn on a weekend house-hunting trip. Oftentimes people make a quick decision, only to realize later that they would have preferred a different area for schools, etc. So, it might be better to rent for 6 months or so prior to buying. Job Questions If for any reason your employment situation is ‘up in the air’, now is not the time to buy. With the economy as it is, several companies are ‘restructuring’. That could mean the only opportunity for you to remain with the company is taking a lesser job for less pay, or relocating somewhere else. Company relocation packages have changed a lot over the past few years. It used to be that if you needed to move for the company, they would take care of your housing, buying your home from you in the event it did not sell so that you could move on to your new home without too much headache. Those benefits appear to be diminishing more and more as the years pass. From the full packages of the past, it moved to many companies offering lump sum payments to employees facing relocation. Now, companies are asking employees to rent wherever they are moving and provisions to purchase an employee’s home are few and far between. Relationship Status This can be something to consider from two different perspectives. If you are in a serious relationship or think you may be getting married soon, purchasing real estate may not be the best idea. If it is going to be a joint decision, make sure all the issues above have been considered for both parties. On the flip side, a new house will not save a broken relationship. It is always heartbreaking to get the call from a past client letting you know that their marriage is ending and they need to sell the house they just bought. Not only is the situation difficult emotionally for everyone involved, but it can get tricky from a financial perspective as well. The hope is that everything will be amenable, but issues now arise like who will live in the house until it sells, or who will be responsible for the monies that need to be paid to get the house sold if recently purchased and not adequately appreciated. Basically, if there are any areas of your life that have just changed or could potentially be changing, it is likely that now is not the time to buy. About The Author: Kimberley Kelly is a top producing Palm Desert Real Estate agent in Southern California and has been licensed now for 11 years. She is a great short sale Realtor for sellers in the Palm Springs real estate market. You can check out Kim's regular blog postings by visiting her La Quinta homes for sale website. Great point, thanks for sharing. I run into this regularly in Charleston SC. Buying a home is generally one of the largest financial decisions a person will ever make and should not be taken lightly. Even in the best of real estate markets an owner should plan on staying put for at least 5 years if they want to break even or see some appreciation.